Deciding whether to get dental implant surgery is a big decision. It is an investment not only in your smile but in your self-confidence and comfort. Before making a decision on the procedure or on your dentist, you should be informed. We put together this guide to help you understand every step of the process! Dental implants are man-made substitutions for the root structure of the teeth. The root structure is secured into the bone, allowing the tooth or teeth to look and feel more natural. The jaw bone will naturally grow around the implant allowing it to be even more secure within the mouth. With a dental implant, you have the freedom to eat any foods you please because the structure is fixed, unlike a traditional denture. 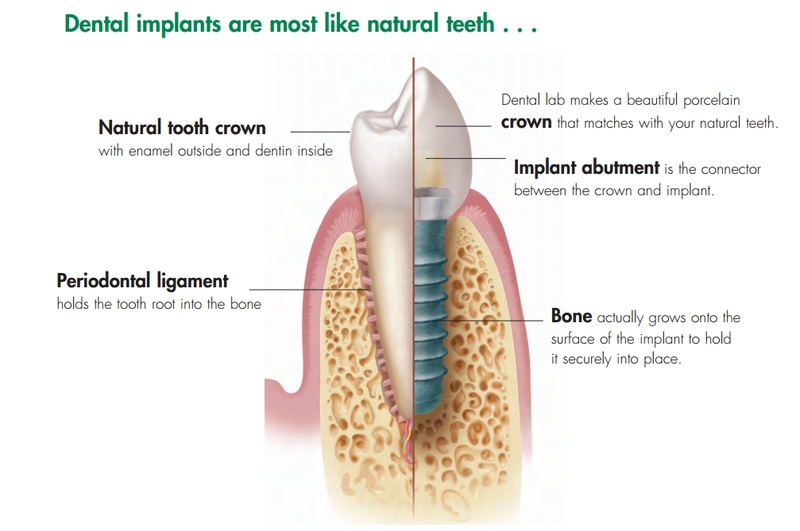 Implant fixture: The implant is the underlying man-made root structure. 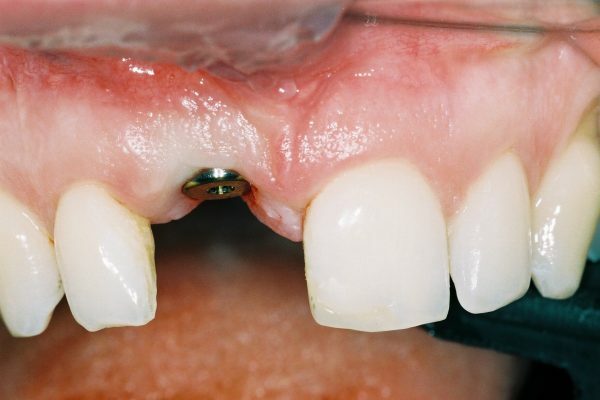 This is traditionally made out of titanium for strength and longevity of the implant. There are a wide variety of different dental implants, and not all are created equal. At Serenity International Dental Clinic, we use Nobel BioCare and Swiss SGS dental implants because they have the strongest track records of clinical success over the past several decades. Abutment: The abutment is a piece that screws into the implant and provides a surface above the gum line to support the tooth (crown). 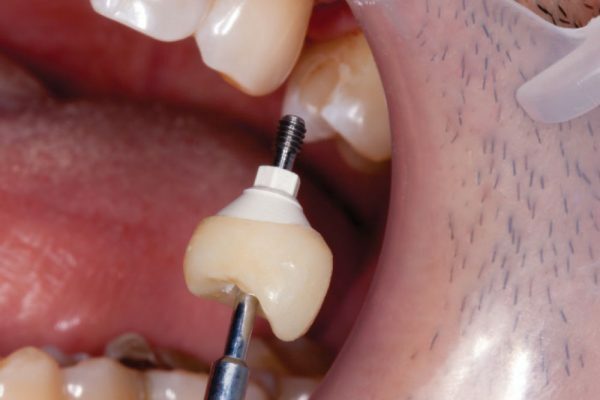 Crown/Prosthesis: The prosthesis or crown refers to the tooth-like structure that the implant supports. The prosthesis can be a single tooth or a full bridge. There are many advantages to tooth implants. It is a permanent solution to tooth loss that is more durable and stable than alternatives such as conventional dentures, crowns or bridges which can make it easier to speak and eat. They also fit more comfortably and naturally and even look better cosmetically which can improve your self-esteem. Convenience is another huge advantage as they do not need to be removed, cleaned or kept in place by messy adhesives. They also improve oral health by making it easier to clean between teeth and they do not require modifications to nearby healthy teeth in order to be installed. Whats are the effects of missing teeth? Why the jaw bone needs teeth to maintain shape? If you suffer from multiple tooth loss, bone atrophy and facial change can continue, under conventional restorations, such as bridges or partial prostheses. Dental implants can help to prevent the bone deterioration described above, since the implant mimics a natural root, transmitting chewing forces to the jaw bone and preventing bone loss. These evaluations will tell the dentist how much bone you have in your jaw as well as the location and shape of your sinuses and nerves. To be a candidate for implants, one must have healthy gums and a strong jawbone with enough bone to fuse with and support the implant. 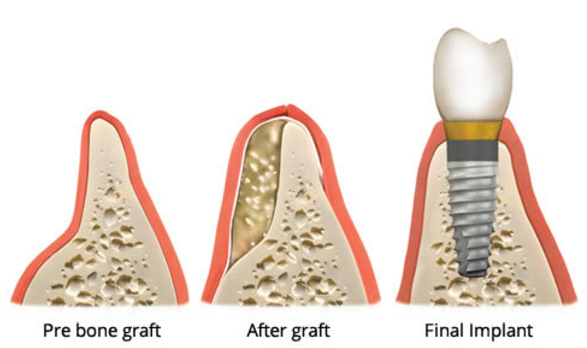 However, some bone can be rebuilt via a bone graft if the patient has already last some bone in their jaw. It is also very important that the patient make a commitment to great oral hygiene (brushing, flossing, visiting the dentist). There are a number of contraindications that may complicate or completely disqualify you from implant treatment, including chronic diseases, smoking heavily and alcohol abuse which all reduce the rate of healing and can significantly increase the chance of failure. Even if you have one or more of the conditions above, you may still be a candidate for implants. It highly depends on the recency and severity of the condition. You might hear/feel the tools being used, but no agony should be experienced. 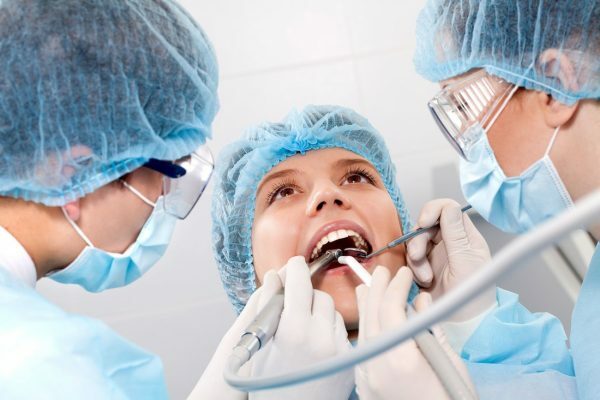 Those who have a phobia of dental/surgical procedures can opt for sedation, which allows them to be relaxed the entire time, while still being conscious. If you are replacing a damaged tooth, then the first step is tooth extraction. If you are placing a tooth where one is missing but have undergone some degree of bone loss, then the first step will be preparing the jaw for surgery, which includes any necessary bone grafting and/or sinus lifting. From the first consultation appointment to cementing the final crown, the procedure typically takes a minimum of 6 months. If a graft is necessary, it will add one or more surgeries and from 3 to 12 months of healing to the timeline. Most dental implants are placed with the use of a local anesthetic. If you are nervous about the procedure or getting multiple implants, then you should ask to be sedated by intravenous sedation. Your surgeon should discuss all of these options with you. Your dentist will then drill into your jawbone, gradually widening the hole until it is the correct size for the dental implant. This stage is critical as the jawbone must be treated very carefully to avoid damaging the surrounding bone (bone burn) or nearby nerves and sinus cavities. The collar is left in place and the gums are given 5 to 12 days to heal around it. This way your gums will fit around the crown in the same way as your natural teeth.